With the summer holidays just round the corner, we’ve had a couple of school/ kindergarten “end of the year” parties. For one of those events I made this salad, it went down very well and one of my friends asked for the recipe…so this is for you Francesca. Boil 600ml of stock, take off the cooker and pour the couscous into the pan. Leave to soak for about 5 minutes. Add 5 tablespoons of olive oil and stir it with a fork to get rid of any clumps. Free the pistachio nuts from their shells (you might need double the amount if your kids help out). Chop up the apricots and mint leaves. All you have to do now is add all the ingredients and pour the dressing over it. So simple! Give it a go! That looks and sounds so good! Great job on your photos. I love Couscous! Need to try this now!! Sounds delicious, I love cold couscous salt dishes. Looks very pretty too! This looks like a great salad Tammy and I love all of your pics of it! Really lovely pictures Tammy. 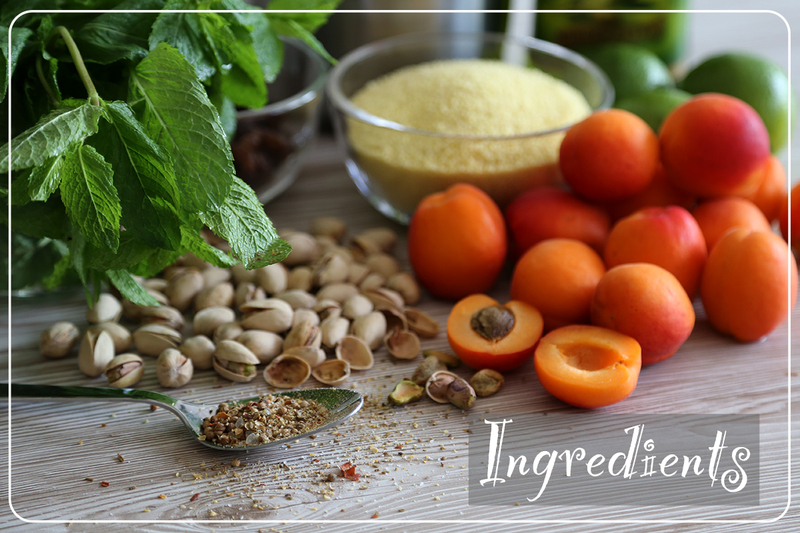 Great styling and such delicious looking ingredients. Love colourful summer salad recipes – thank you! Thank you and thank you for dropping by! Love the mingling of fruit and spices with the grain! Will definitely try this out. Thanks! So do I! 😉 I hope you enjoy it! Great Looking Salad , yum might have to give that a try on the weekend !! Thanks! Do give it a try! Thanks so much for checking out my blog! This salad sounds absolutely lovely and it has some of my most favorite ingredients! I love the name of your blog, too. Your welcome❣️And thanks for popping by…. Just an FYI I have nominated you for The Blogger Recognition Award! Have a great day/night! Thank you for the nomination. I hope that I don‘t offend you but I would like to decline. No worries. Someone nominated me and I felt compelled to do complete it for him. I totally get it. I just hope it was at least a compliment! Have a great day/night!! You have a beautiful blog. Thank you for following my “What The Fork” blog! I’m going to need to try this with the Kiddo! This looks so yummy! Perfect for my weekend bbq! Thanks, and thanks for dropping by! Such a nice blog and such a nice dish. This sounds delishious and your photography is excellent! Oh how wonderful! I’m actually way up past my bedtime right now trying to catch a photo of the lunar eclipse. I live in Indiana.😉 You don’t happen to live near Lucerne do you?